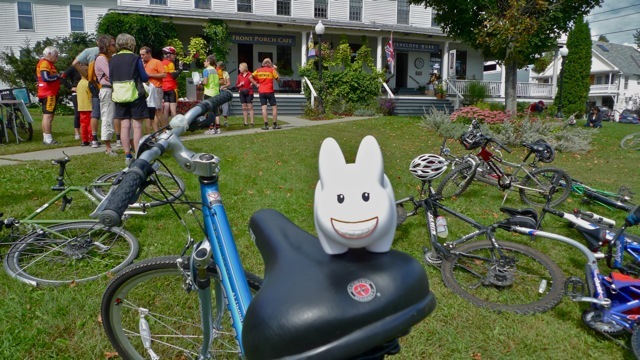 Pipkin's been known to hitch rides on motorcycles and bicycles, so Clover followed his lead and found a friendly group of riders to ride with. 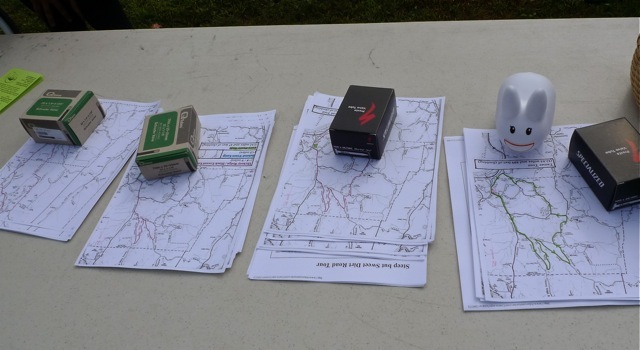 She lucked out with a Sunday morning community ride in Putney, Vermont. There were four different rides offered, all on the lovely dirt backroads of Putney. Clover took a look at the maps to see which one she wanted. Something long, but not too fast! 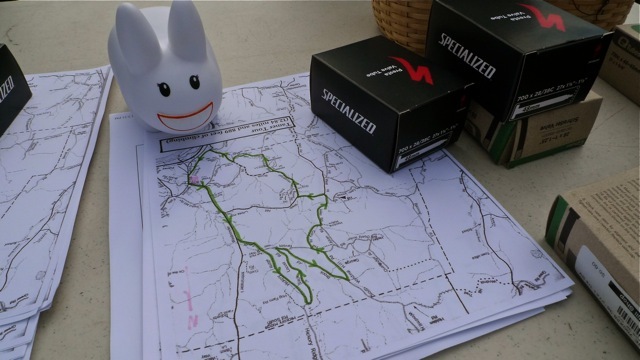 The route was shaped like a bunny! That was definitely the right ride. She hopped into an underseat bag and zipped herself in so she could peek out the back. What fun! And after the ride, she joined the riders on the green in Putney to enjoy lemon iced tea, cranberry scones and berry muffins from Front Porch Cafe. This won't be the last time she joins in on some two wheeled fun. Big thanks to the West Hill Shop in Putney for organizing the community ride, and thanks also to the Front Porch Cafe, for feeding a bunch of sweaty bikers on the green.